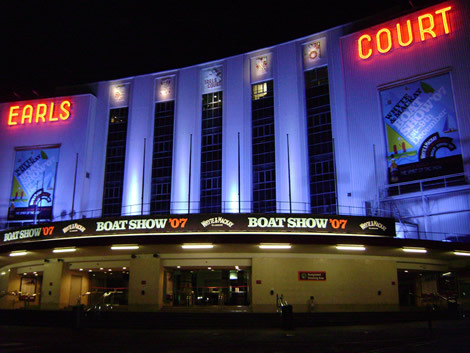 Moksha is being exhibited as one of the highlights of the 'Hall of Fame' display at the Earl's Court Boat Show from this Saturday the 1st December through the 9th. The display is being sponsored by Yachting World in association by the National Maritime Museum. Round the world sailing pioneers like Sir Francis Chichester, Sir Robin Knox-Johnston, and Sir Chay Blyth are also being featured. The Expedition 360 display will feature some of the other equipment and modes of propulsion that were used to circumnavigation using only human power: kayaks, rollerblades and an overland component comprising the bike and camping equipment. Another reason to come along and visit the display is meeting Steve's father Stuart who has kindly offered to man the exhibit and answer any questions that aren't explained by the information boards and multimedia kiosk. He's knows the stories and tells them better than any of us, so you won't be disappointed! There will also be a limited supply of special edition signed T-shirts for sale. More information about the show can be found here. We look forward to seeing you there!